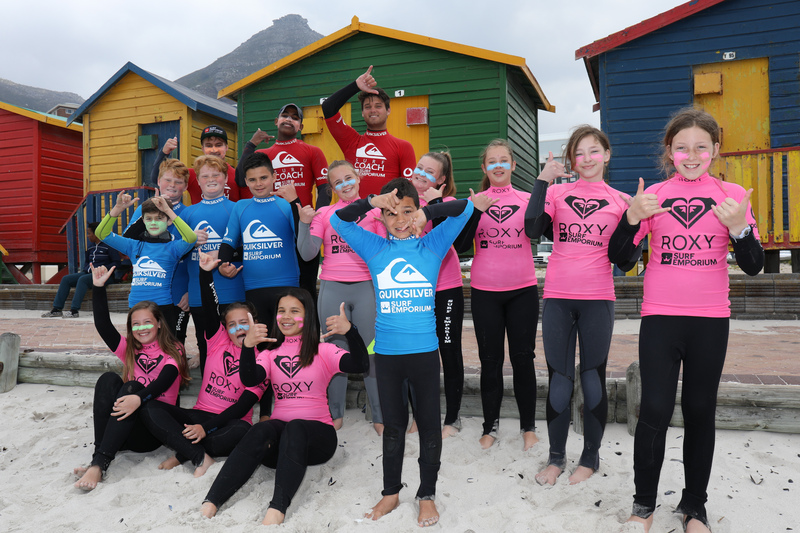 Sign up for a FREE School Group Surf Lesson! 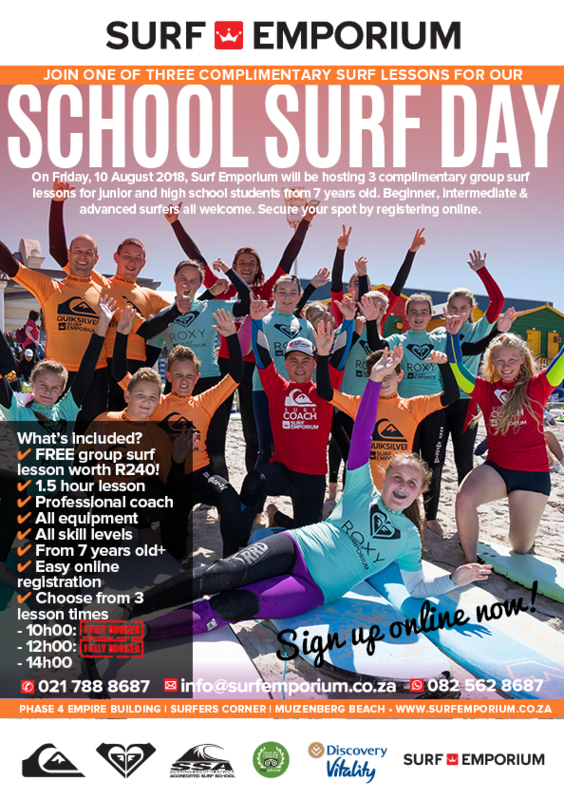 Surf Emporium Muizenberg is very excited to host Group Surf Lessons in celebration of the School Holiday on Friday, 10 August 2018. Choose from ONE of THREE group surf lessons that are all inclusive and for all beginner, intermediate or advanced surfers from 7 years and older! What is included in the FREE surf lesson? What time are the group surf lessons? Lesson 1: 10am - FULLY BOOKED! 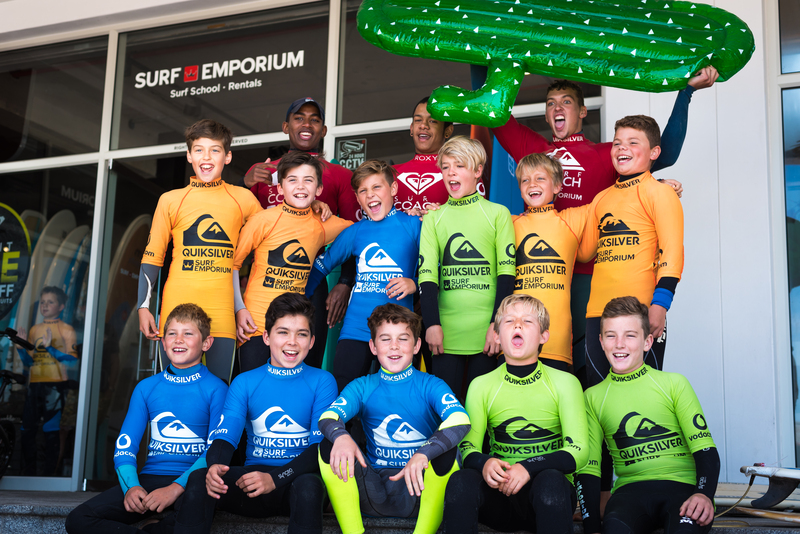 What to expect in your group surf lesson? Secure your spot NOW! How to Register? Kindly complete the registration form below OR call us on 021 788 8687 OR email us at info@surfemporium.co.za OR come visit us - we're open 7 days a week! "Everything was perfect, organised, informative and friendly. As a beginner I was intimidated but they made me feel welcome and sooo helpful and chilled out. Really good experience! Lockers, change-rooms and everything you need. I will only go to Surf Emporium from now on. Haha"
Please enter a number from 7 to 20. PLEASE NOTE: The 10am lesson slot (9:30am arrival for a 10am surf lesson start) as well as the 12pm lesson slot (11:30am arrival for a 12pm surf lesson start) is currently FULLY BOOKED.